Below you can view all the homes for sale in the Harvard Gulch subdivision located in Denver Colorado. Listings in Harvard Gulch are updated daily from data we receive from the Denver multiple listing service. To learn more about any of these homes or to receive custom notifications when a new property is listed for sale in Harvard Gulch, give us a call at 720-729-2320. This home is move-in ready, brand new paint and carpet throughout, new sod+ professionally landscaped back yard. MLS#4438587. West and Main Homes Inc. They don’t build them like this anymore! MLS#8477147. RE/MAX Professionals. Call now to schedule your personal showing! MLS#8975332. TRELORA. Enjoy walking, playing catch or fetch at the park across the street! MLS#4800880. Your Castle Real Estate Inc. Perfect home for entertaining on a great quiet block just steps from the park. MLS#8138236. Steck Real Estate. A heck of a place to call Home! MLS#5902644. Keller Williams Real Estate LLC. Kunming park is located right behind the home and is a great place to have a picnic and enjoy the incredible mountain views and sunsets. MLS#2872927. 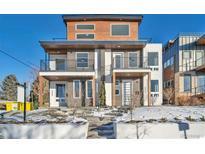 Shorewood Real Estate Denver.